Belgian authorities have established that acupuncture needles are sold online with false so-called CE marking. This means it is not certain the needles in question meet the current rules on sterility and materials used, and the Danish Medicines Agency therefore cannot rule out the risks of infection and allergic reactions if you use these needles. If you have bought any of these products, you should stop using them, and you may decide to return them to the distributor. Scroll down to see images of the products and packages. We also advise you to read our information on secure online shopping. Whereas we almost always recommend you to look for the CE marking when buying medical devices online, it cannot guide you in this particular case because the CE marking has been falsified. Instead, please read our other simple advice to avoid buying falsified medical devices. 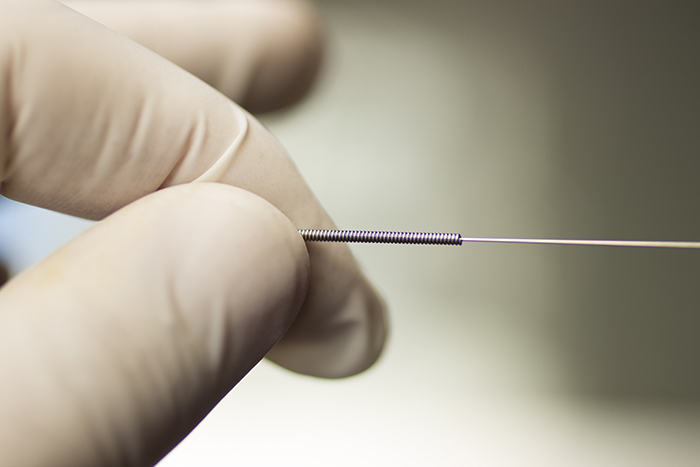 Acupuncture needles classified as medical devices may only be marketed in Denmark and the EU after CE marking. CE marking is evidence that the device meets the executive order on medical devices, and the manufacturer must be able to provide evidence of the product's quality, safety and materials used. You can read more about CE marking of medical devices on our website.